Home > Becoming Bankrupt > What Bankruptcy Doesn't Cover? There are a few things that bankruptcy doesn’t cover. Some of the things are excluded from the actual judgement and are yours to keep, and others are debts that are taken into consideration for the bankruptcy order, meaning you still have to meet those payments yourself. Firstly, let’s look at the forms of debt that are excluded from the judgement. 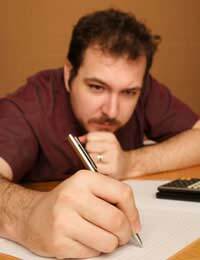 These loans are not taken into consideration when you file for bankruptcy. You will still have to meet your monthly payments, however. Again, these orders are exempt from bankruptcy orders. If you have either of these commitments you will still be required to pay them on a regular basis. Failure to do so will result in them being removed from your wages at source. Whatever type of financial order you have from a family court, they will not be considered for a bankruptcy orders. You may apply to the court to have them reduced. These loans are secured on your home. They too are not subject to any bankruptcy order. Failure to make repayments on this type of loan will result in you losing your home. Only unsecured debts can be considered for a bankruptcy order. 6. Personal Injury DebtsIf you have been found guilty of personal injury to another person you will still have to make payments for their injuries. You can renegotiate this debt. Payments must be made. If you have accessed funds through fraudulent means then they are not taken into consideration for bankruptcy. Any person filing for bankruptcy found guilty of falsehood may be subject to further restrictions in their bankruptcy order. If you are subject to a court ruling and subsequent fine for criminal activity then you must repay the amount in full. These fines are bankruptcy exempt. It must be a cheap car. You will not be able to keep the family Jaguar. You are allowed to keep all of your clothes and personal belongings of low value. If you own a Rolex, though, you will be expected to sell it to help pay off your debts. You will be allowed to keep the items you need to enable you to carry on working. You will need employment to comply with the bankruptcy order. The everyday items you need to look after yourself and your family, such as bedding, fridge, cooker and your bed are not taken from you. The law is constantly changing and the things that are included or are exempt from bankruptcy change too. It is worth checking before you declare bankruptcy what you can keep and what you must sell. Remember, you are not allowed to hide any assets. This can have serious consequences. @Jack156 - If the family member bought it, and they are not the ones who have filed for bankruptcy then they will have to keep paying on the terms laid out. If someone buys furniture for a family member on the terms they will pay it back and a year later the family member becomes bankrupt does the debt to the other family member disappear ?